Hey here, everyone!! 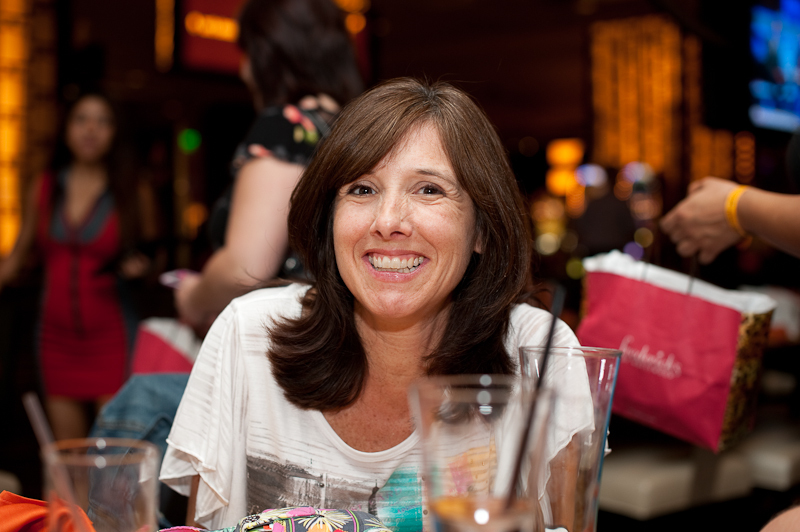 Well...I am sitting in my hotel after a fun few days attending Summer CHA in Vegas. 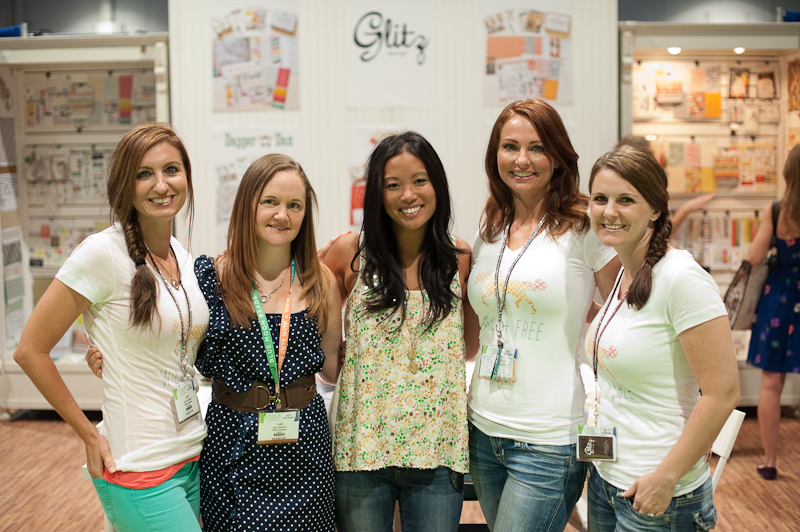 It was SO great to finally meet the Glitz girls in person, and a lot of other fabulous people as well!! I had so much fun and hope that this becomes a more regular experience for me! 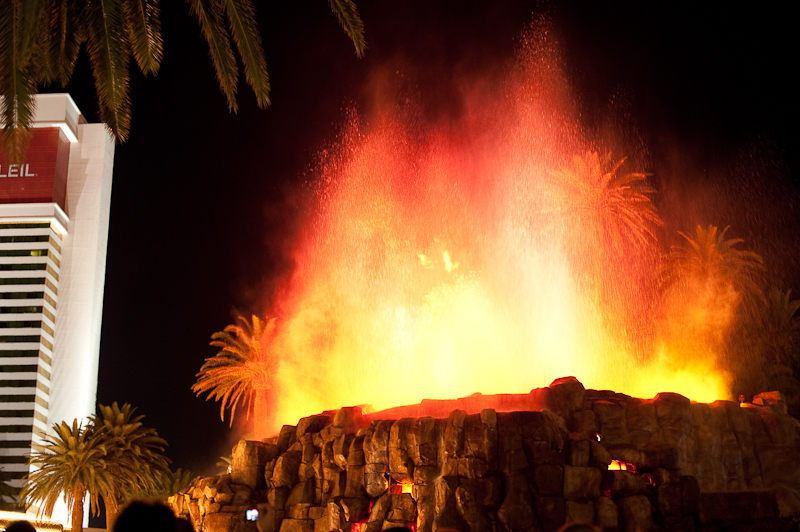 Here is a look at the past few days in photos! 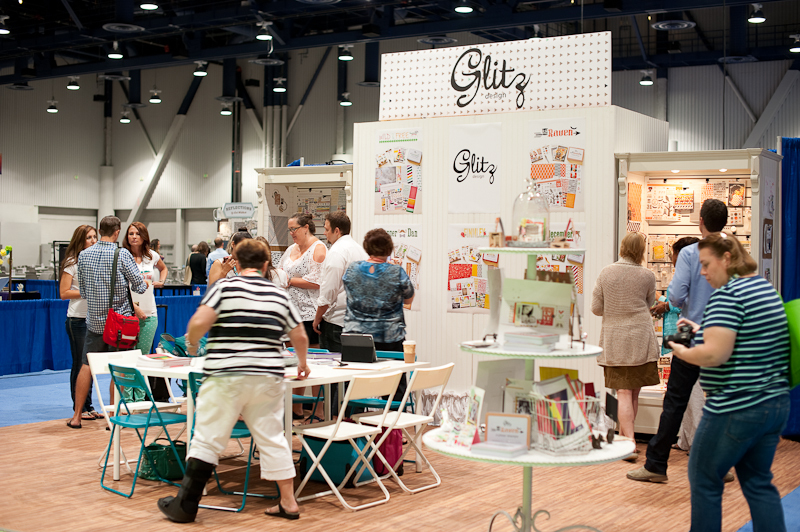 Up first is what the Glitz booth looked like! They downsized it a bit since this was such a small show....but it was still fab!! 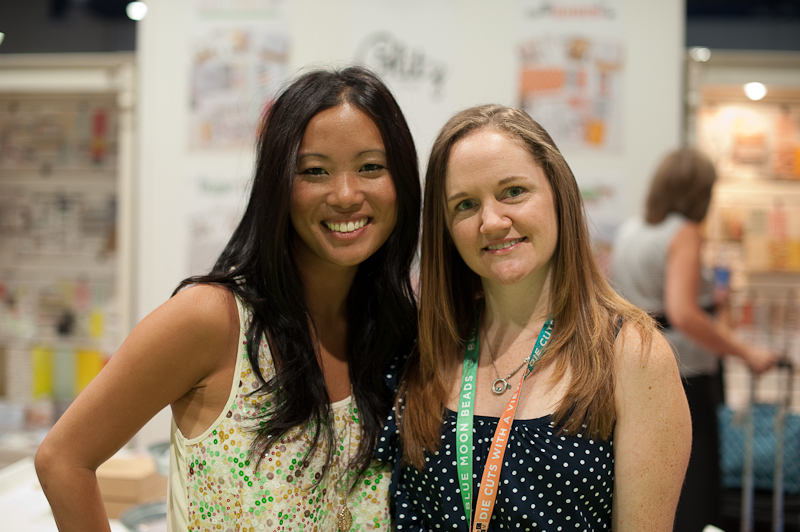 Here I am with Kelly, one of the owners of Lawn Fawn! 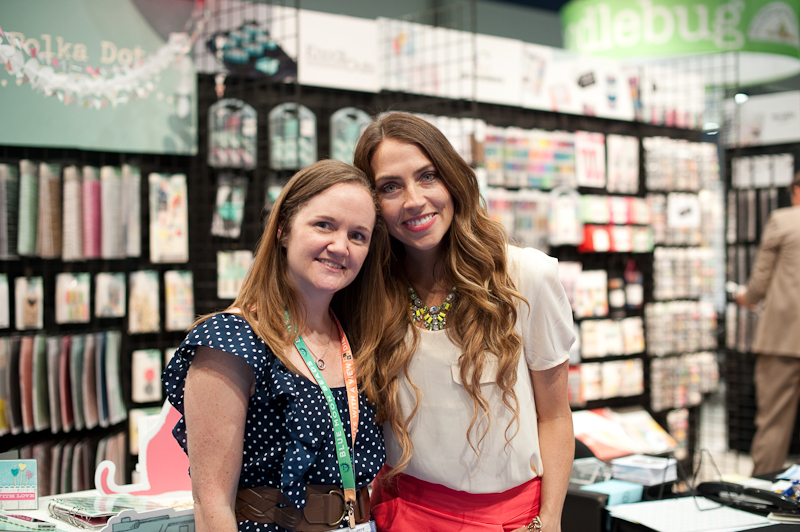 I was on their DT for awhile, & was so excited I got to meet her in person! 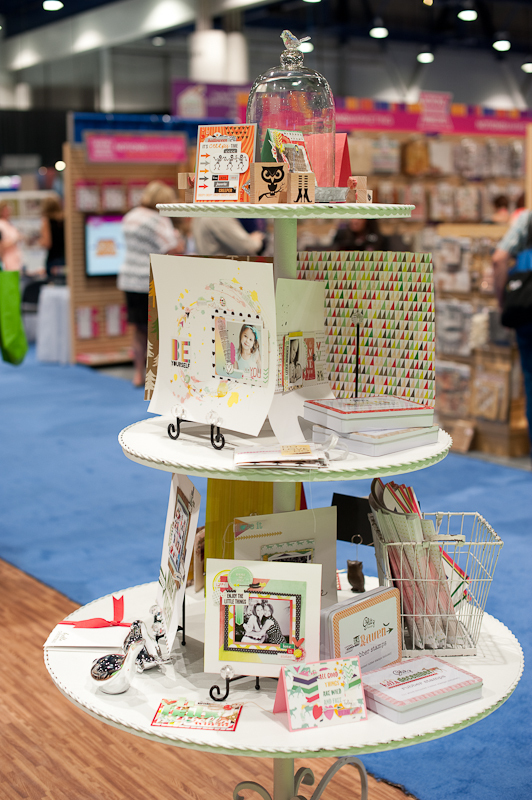 Lawn Fawn has some seriously CUTE stuff this release, & they still put up some of my cards in their booth! So fun! This is me with Annabelle O'Malley. We have "known" each other FOREVER...and now we have actually met in person. She is SO awesome....and we spent a lot of time together over the past few days! 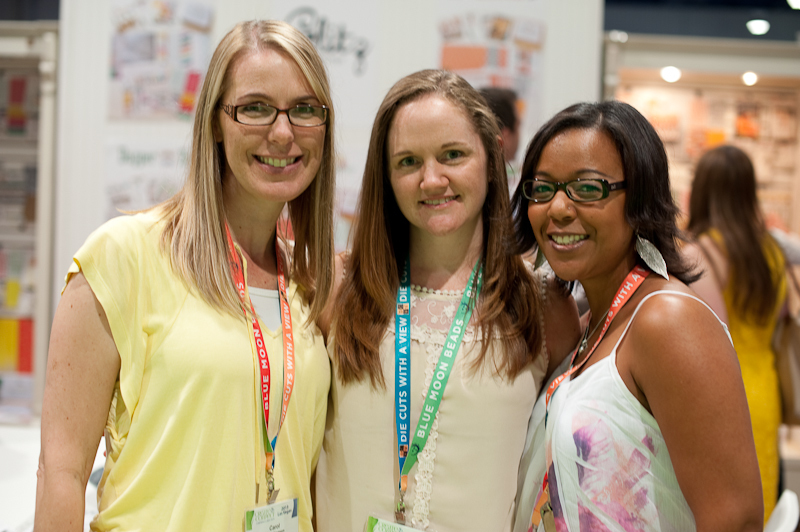 Here I am with Sherri & Carol. 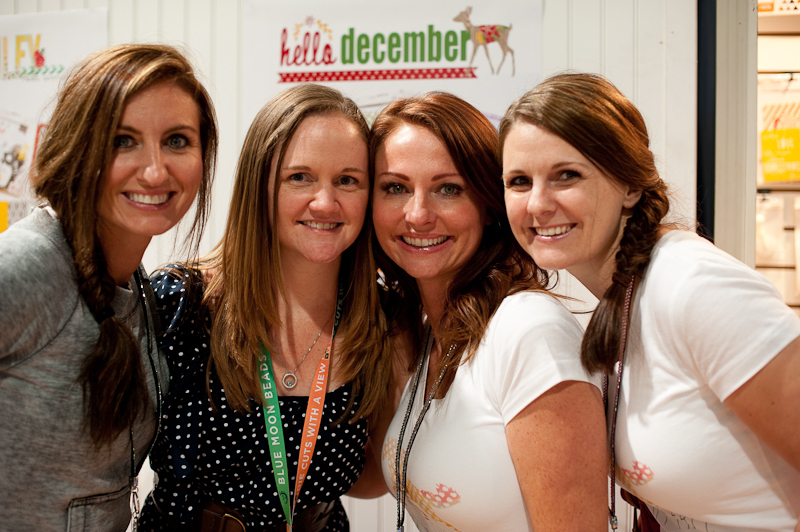 These girls are SERIOUSLY fun. We talked about any & everything...and I am so excited to be moving within 3 hours of Sherri (she's up in Canada). We have LOTS of scrappy plans to get together! :) You will see more of them later. 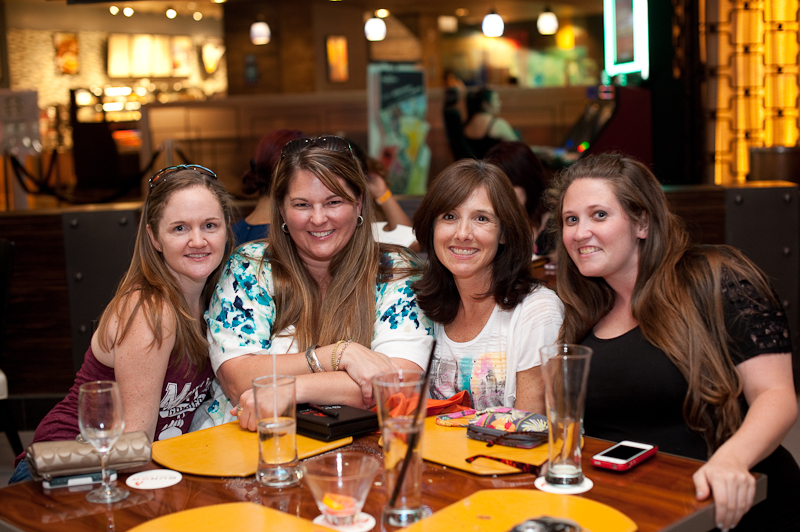 I went to dinner on the first night of the show with Annabelle, Cindy (owner of Emma's Paperie) & Shay. 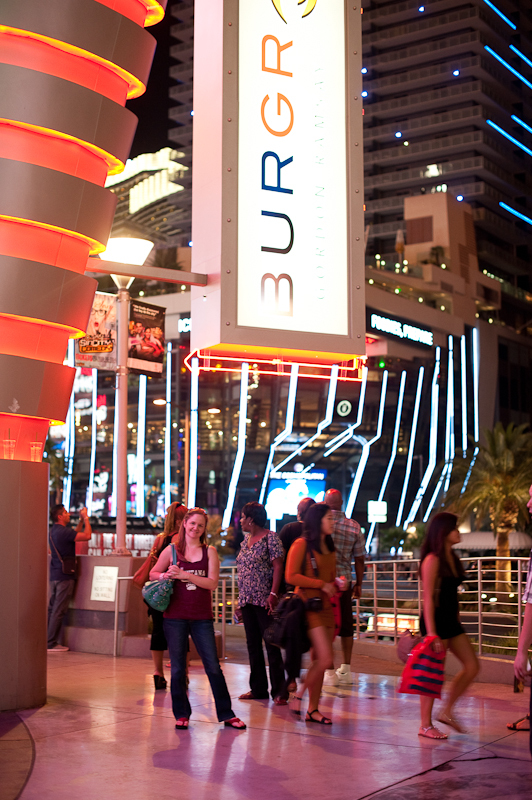 We went to Burgr in Planet Hollywood. Seriously amazing food & the BEST cocktail I have ever had....blood orange cosmo. I highly suggest it! 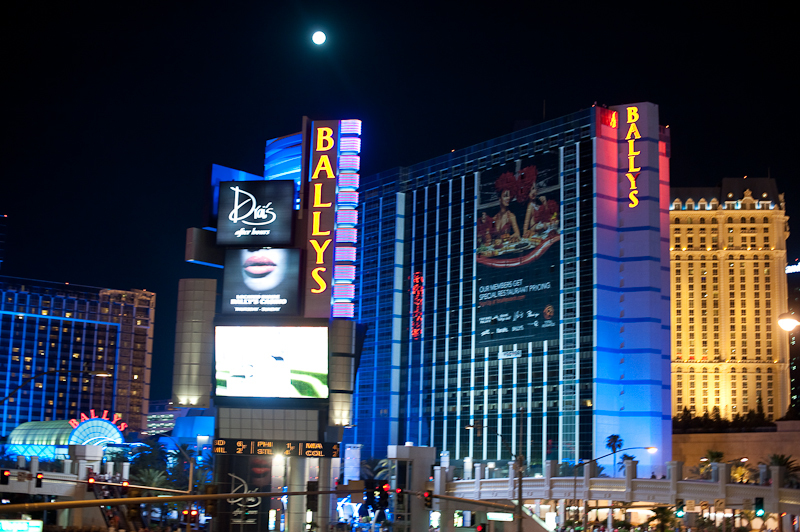 Just some photos I took while walking the strip. 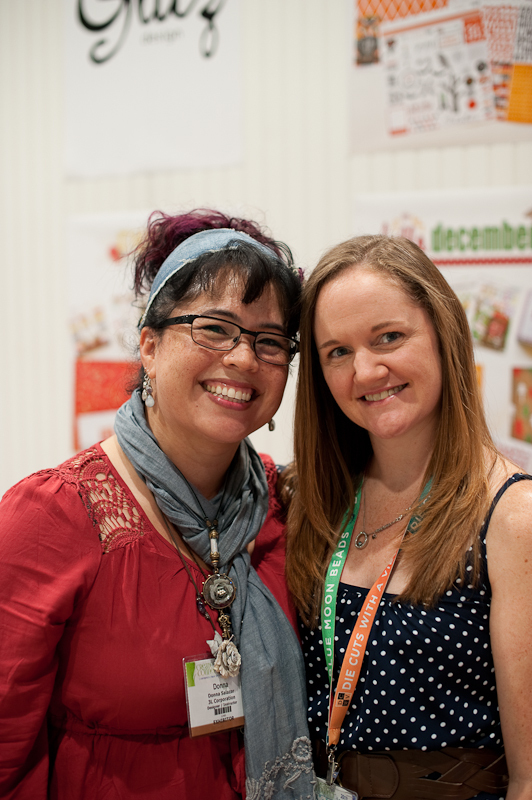 Day two of the show....me with Donna Salazar! She partnered with Clearsnap awhile back & created my fave ink ever. 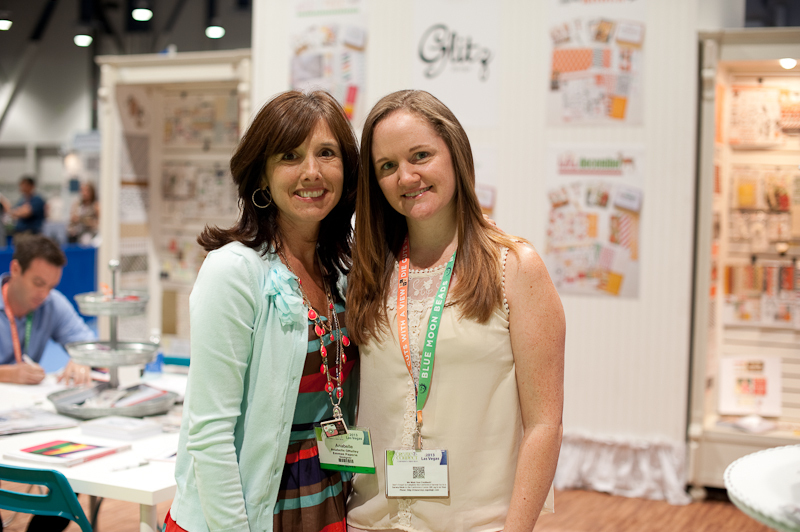 So- I had one of THOSE moments when Kelly Purkey stopped by the Glitz booth. 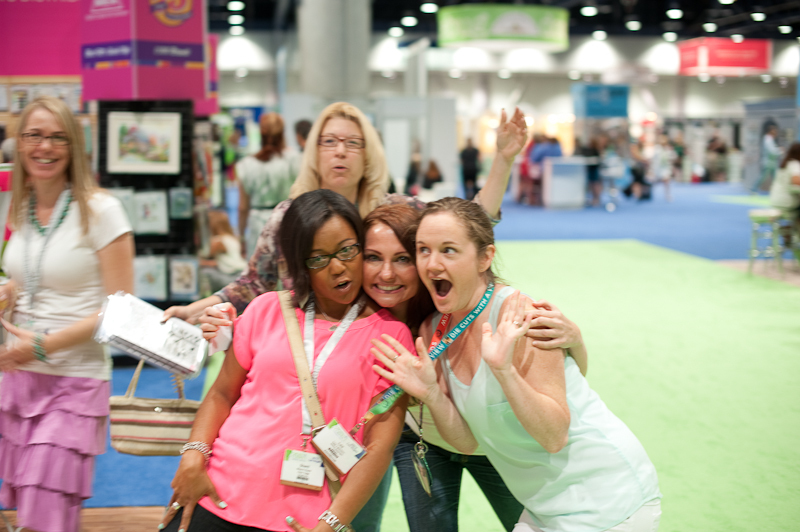 It went a little something like this, "Oh my gosh, you're Kelly Purkey." (Like she doesn't know who she is.) Then some stumbling of words as I get out how much I love her stamps from Simon Says Stamp. 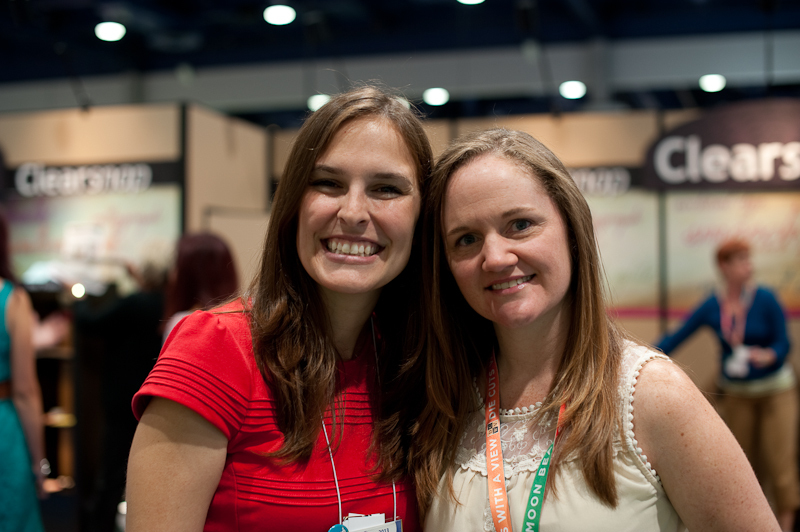 I was seriously ridiculous, but she totally obliged me...and we got some cute photos!! Me with Alisha G.!!! I have worked with this girl FOREVER with Cards Mag....finally just getting to see her in real life!! So awesome! And her new lines with Echo Park....amazing!!!! And who doesn't love this girl?! Got to take a quick moment & chat with Elizabeth. Got to see sweet Myles too....who smiled & baby waved at me!! He made me swoon (& want one of my own!!!!) and I swear he was flirting with me. Cute little guy! These are some photos of some of my projects in the booth. 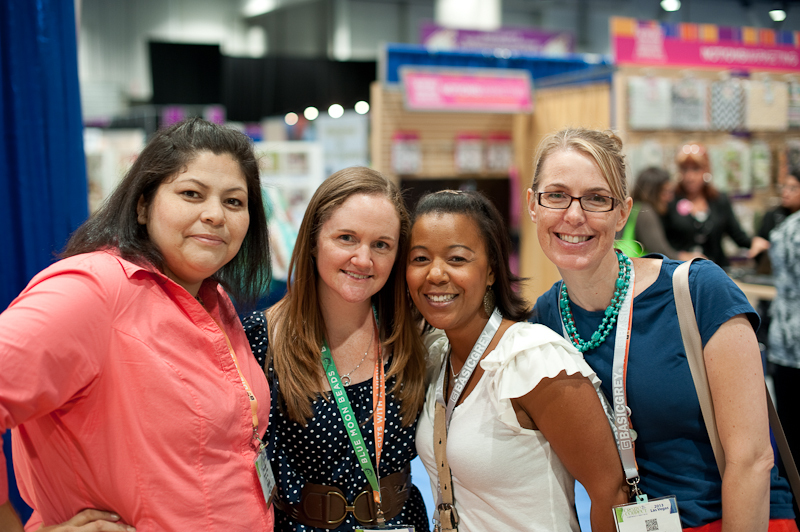 Here I'm with the owner of Chic Tags, Veronica, and Sherri & Carol again! 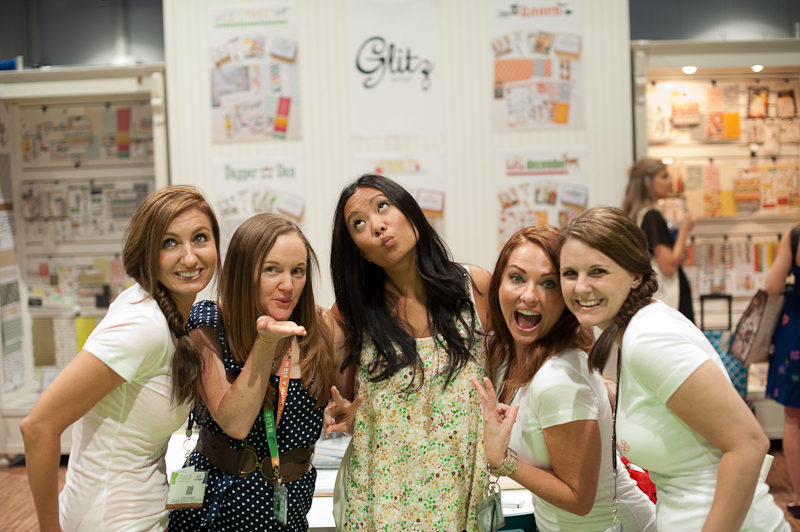 Then I finally took a photo with just the Glitz girls....we were having so much fun that we kept forgetting to take a photo of just the 4 of us! 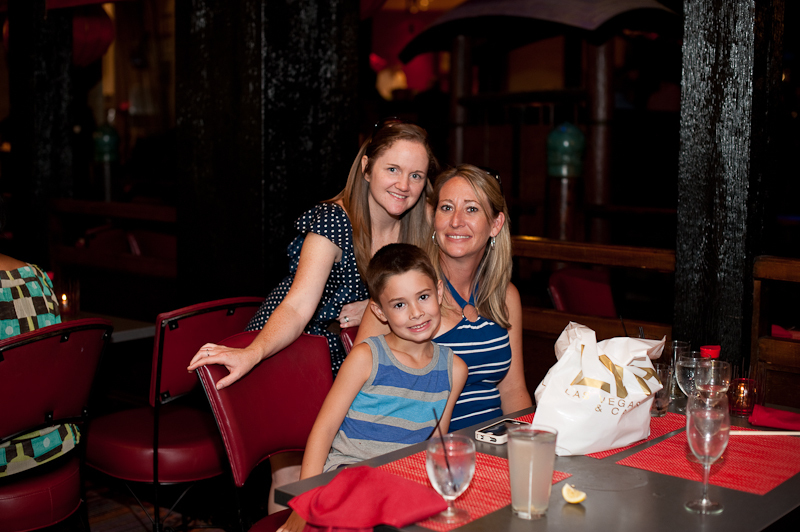 On the second night of the show, I went out to dinner with my friend, Danielle & her son. 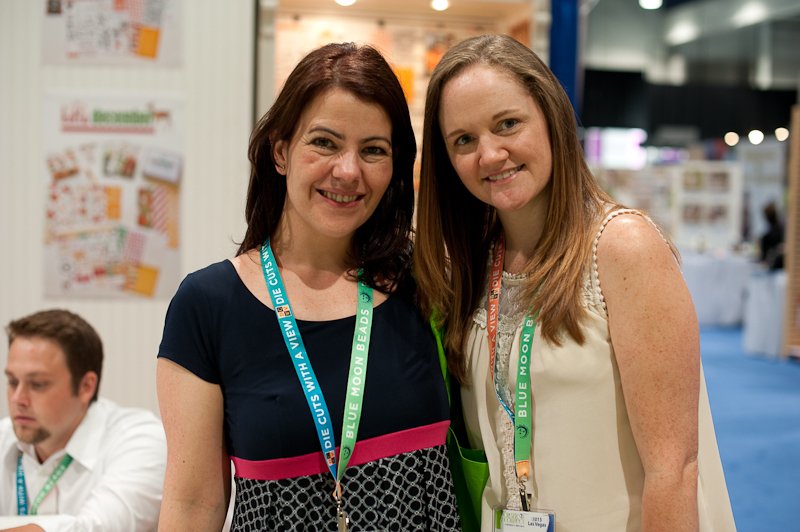 Danielle & I go WAY BACK to childhood, and I haven't seen her since I was 14 years old! It was so great to see her & catch up with her...and we've decided that our core group of friends from Arizona really need to have a reunion. It would be SO fantastic! 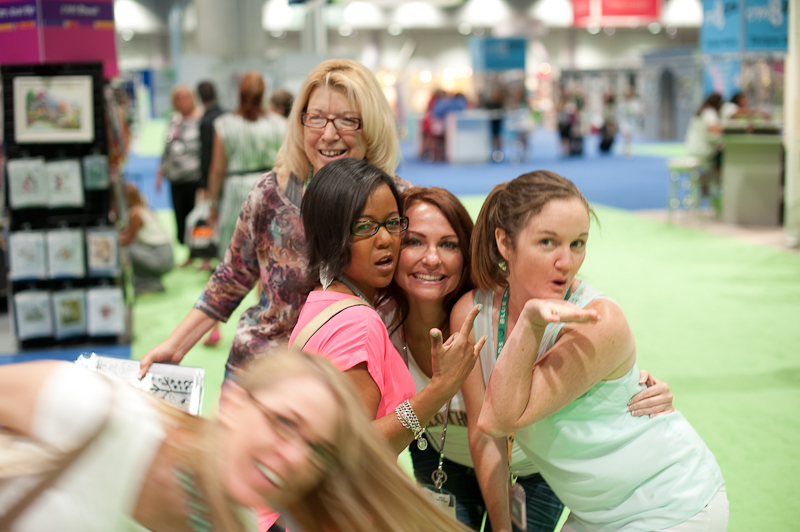 And the last day of the show...being super silly. 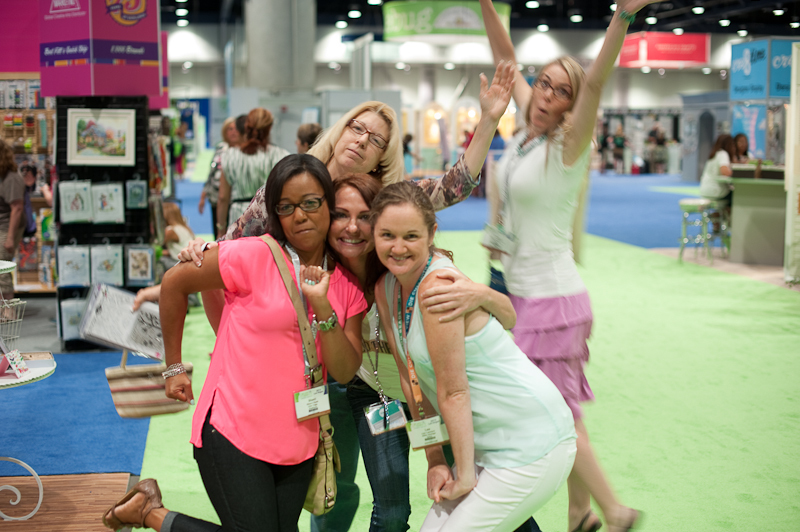 And Carol totally being awesome at photo bombing....ha!!! There you have it....a good look into my fun CHA trip! I had so much fun....and I hope you liked a little peek into it! 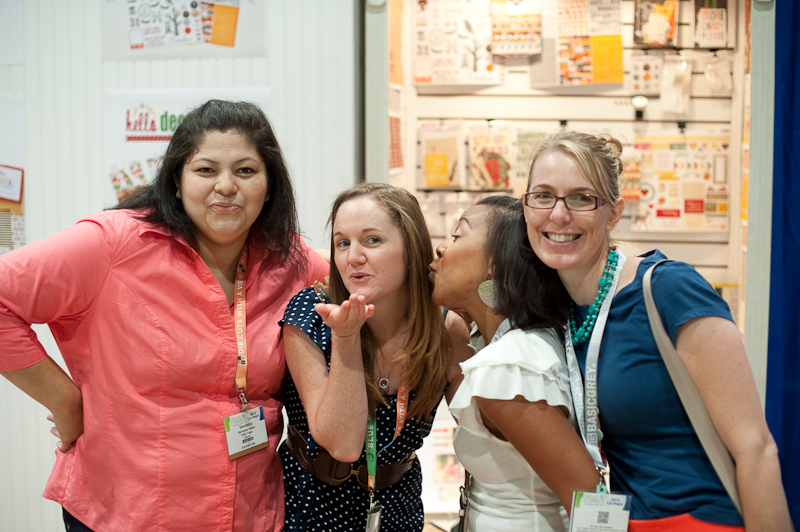 And I realized something about myself...when someone tells me to be silly in a photo, I always blow a kiss. It's the only thing that doesn't make me anxious in photos like that....tee hee! Now- I better go pack! My shuttle is coming at 6am....SO early. Ha! 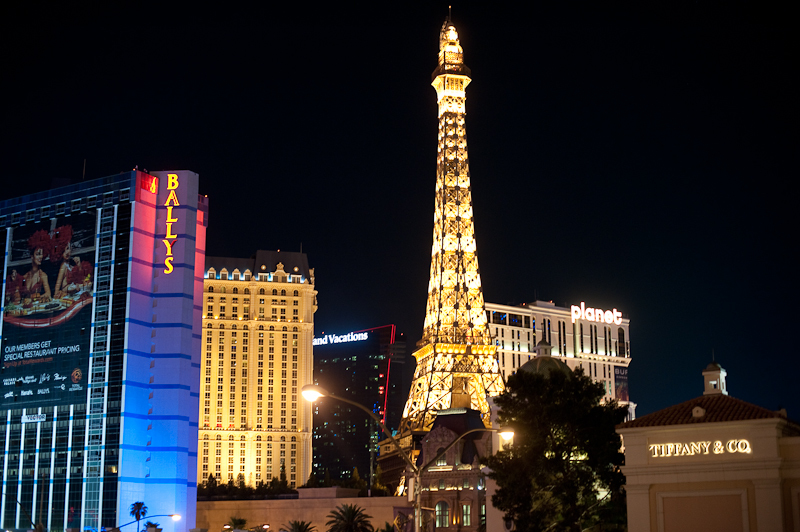 Have a great night! Happy Friday, all!! Welcome to the weekend! What do you have on your plate for the next few days? Me- I'm editing photos & finishing up some last minute packing today. Tomorrow I have a wedding to shoot, so I will be at that all day long. Then Sunday we are moving the rest of our stuff to our storage unit, doing the last minute cleaning of the house, & then moving in with our friends for the next month. 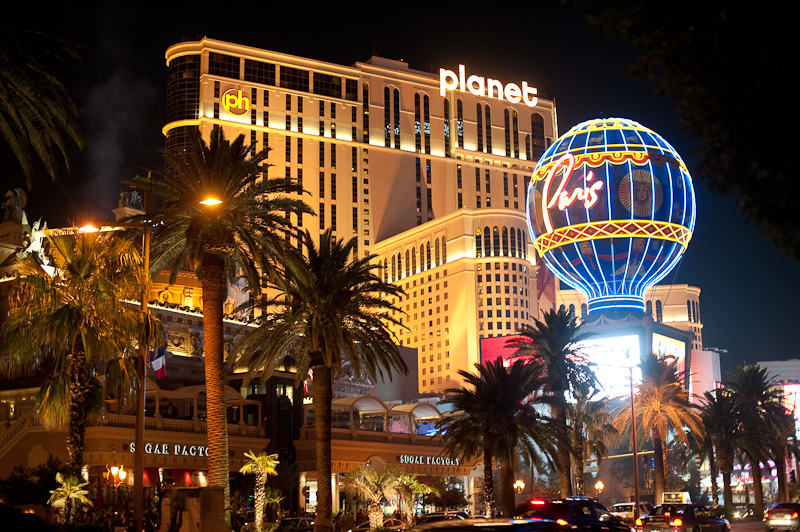 And on Monday...I leave for Summer CHA in Vegas!! 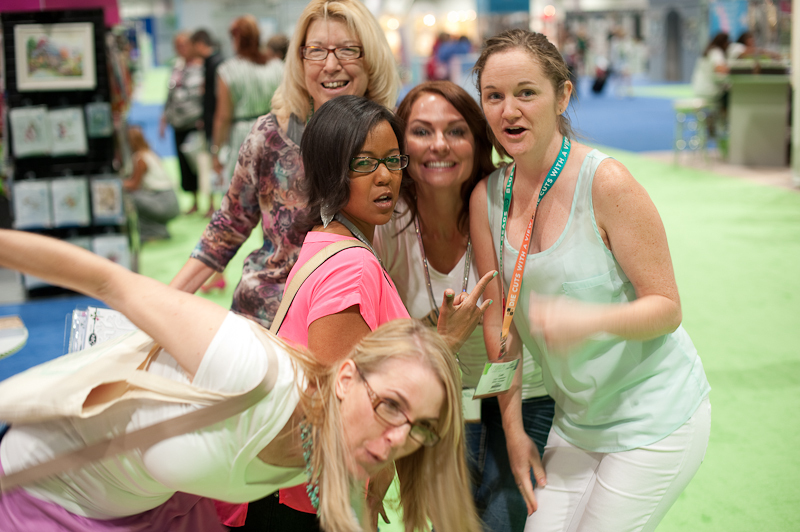 So excited to meet so many people in person that I feel like I "know"...and just have a great time! Today is our final release day for Mama Elephant, and we are showcasing the "Hustle" stamp set. 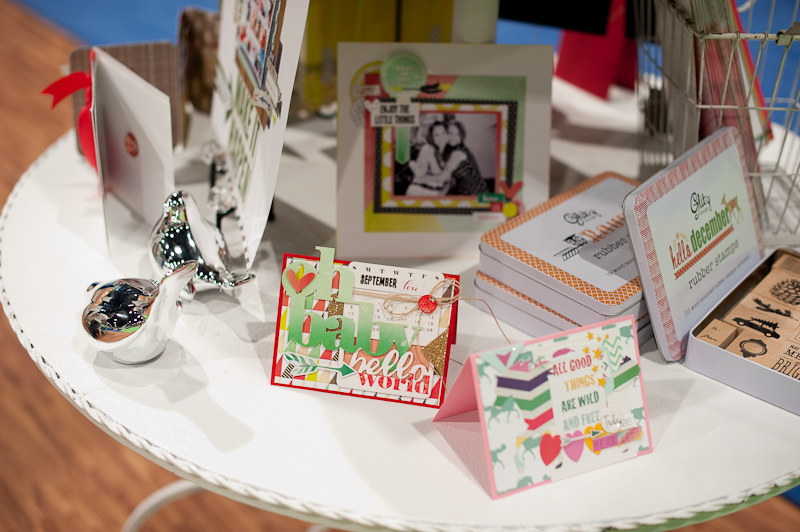 This set is full of super fun & trendy sentiments! 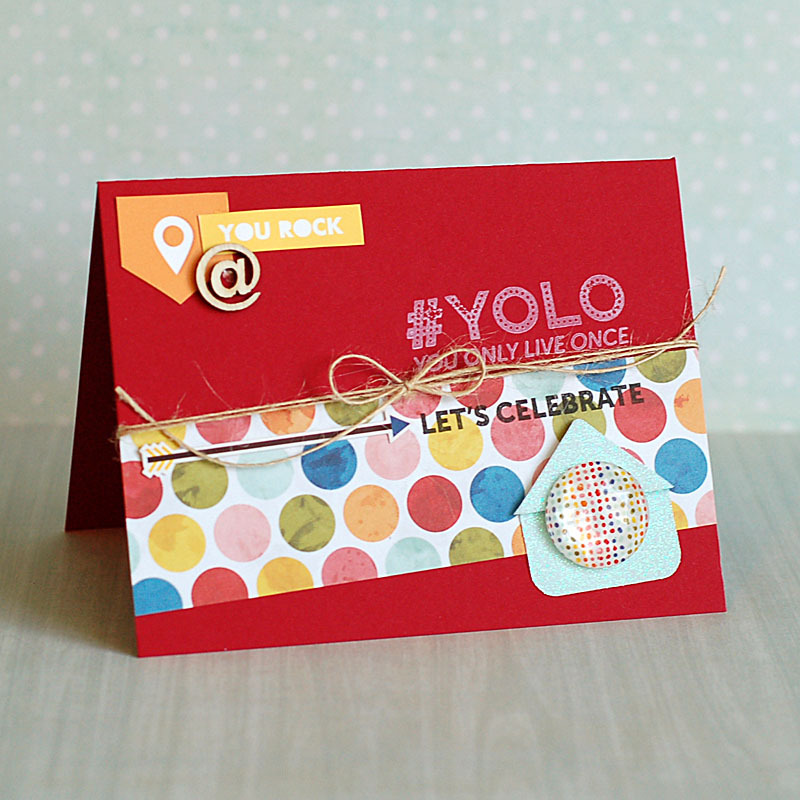 I chose a bright, rainbow color theme to pair with the fabulous #YOLO sentiment. I made it a birthday card by adding the Let's Celebrate from the "Say What" stamp set! This is what I created! 2. Add a polka dot paper strip across the front of it at an angle. 3. Stamp the top sentiment in white, & the bottom sentiment in black. 4. Wrap twine around the middle, and finish with a bow. 5. 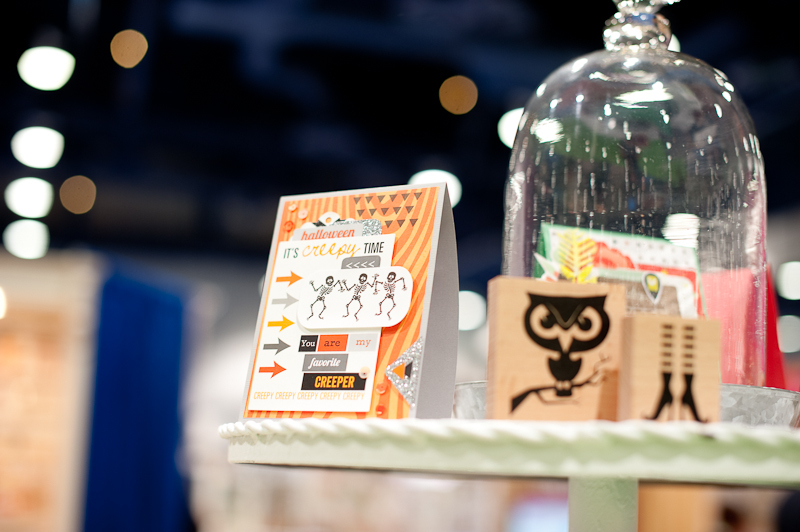 Add the printed cut-outs & wood veneer @ symbol to the upper left corner. 6. Adhere a glittered photo corner & dotted rhinestone to the bottom right corner. 7. Add an arrow sticker pointing to the bottom sentiment to finish. This card makes me think of my Aunt Amy & her daughter, Molly. This motto has been their mantra lately, and the bright colors are just so fitting! They both even wear pretty bright colors most of the time!! "Hustle", along with all the other new stamp sets are available for purchase right now at the Mama Elephant store! Be sure to head on over and pick up your faves! Happy Wednesday, friends! How are you doing today? I am doing pretty good....feeling a little overwhelmed with everything I have going on right now. Which is turning me into an insomniac. But- I think after this weekend I will feel A LOT better. We will officially have all of our stuff out of the house & it will be ready to turn over to the new owners. I have my last wedding for July on Saturday. My projects for CHA will be finished. And on Monday...I will be on my WAY to CHA! Yay!! I cannot wait! Today I have another card to share with you for the Mama Elephant release week, and today we are showcasing the "Full House" stamp set. This is a fun little home themed set that has the cutest speech bubble sentiments included on it!! I paired the stamps with a card from the June Project Life kit for Studio Calico & added in some tags from Elle's Studio & Teresa Collins Designs. Here is what I created! 1. Make A2 card from oatmeal cardstock, then round the lower right corners. 2. Stamp the row of houses & the sentiment to the front of the map card, then adhere to the lower right corner with foam adhesive. 3. Cut the banner edges from a paper border & tuck into each side of the stamped card. 4. 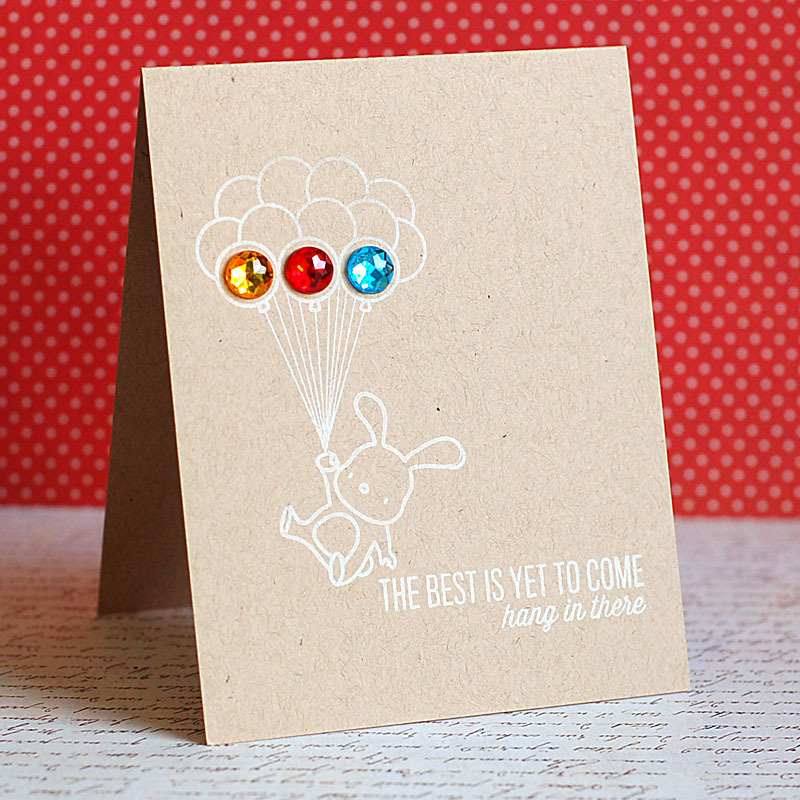 Add the "remember" tab to the top of the stamped card, then accent with pearls. 5. Adhere the circle tag to the top of the stamped card. 6. Tie a double bow from twine, thread a button around the middle, then adhere to the front. 7. Accent with wood veneer stars to finish. "Full House", along with all the other new stamp sets are available for purchase right now at the Mama Elephant store! Be sure to head on over and pick up your faves! Well, I hope you've enjoyed my missing you card today! 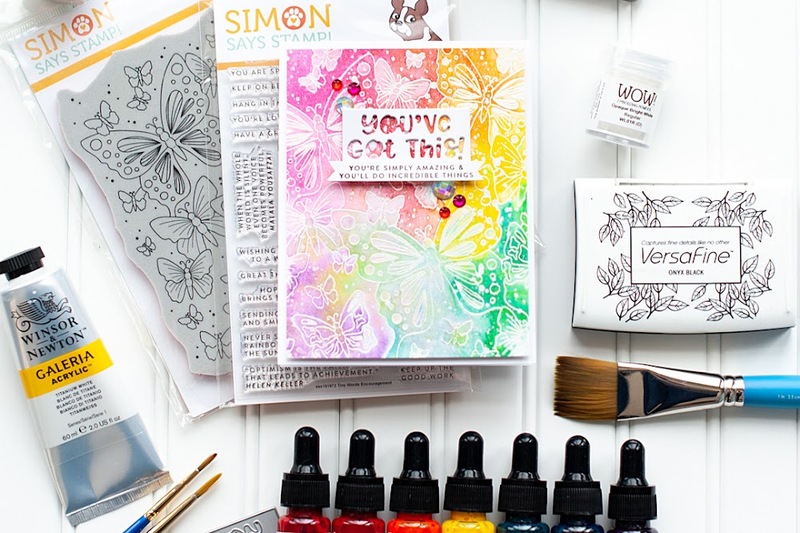 I will be back tomorrow with another card featuring a new Mama Elephant stamp set! Happy Tuesday, everyone!! How was your Monday? Mine was busy...like everyday has been for the past month! Josh had to work remotely all day & I needed to work on wedding photos...but we packed more in the evening & ran a bunch of stuff to the recycling center. That really needed to get done...so that is a great thing! 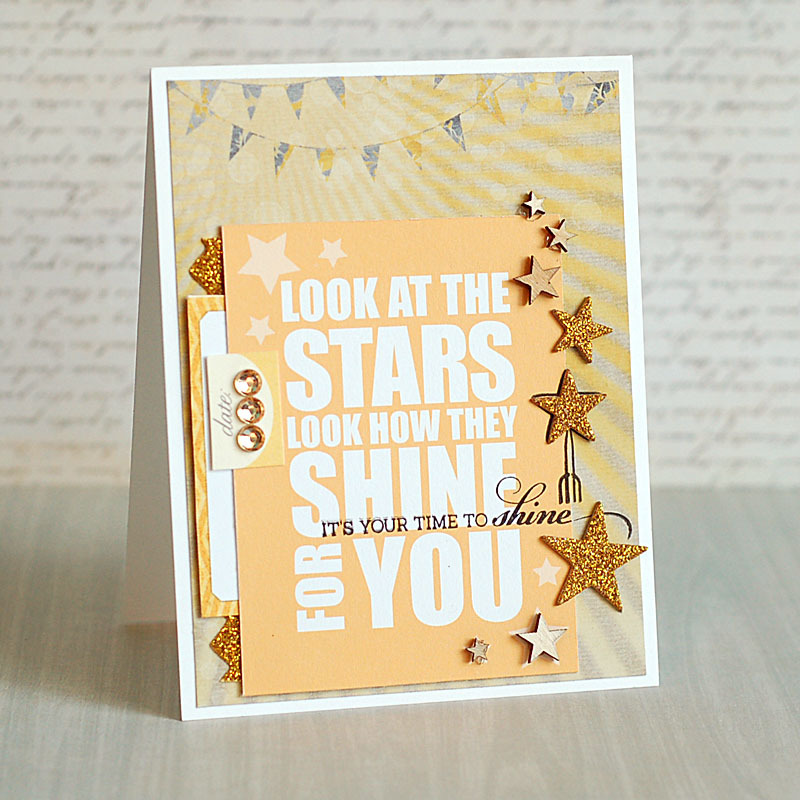 This week the Mama Elephant design team is showcasing our projects using all the new stamp sets from July's release! Today we are focusing on the "Stitches" stamp set, which has a super sweet sewing theme to it. Once again...I have stuck with a super clean design, stamping the image directly to kraft cardstock with white ink. 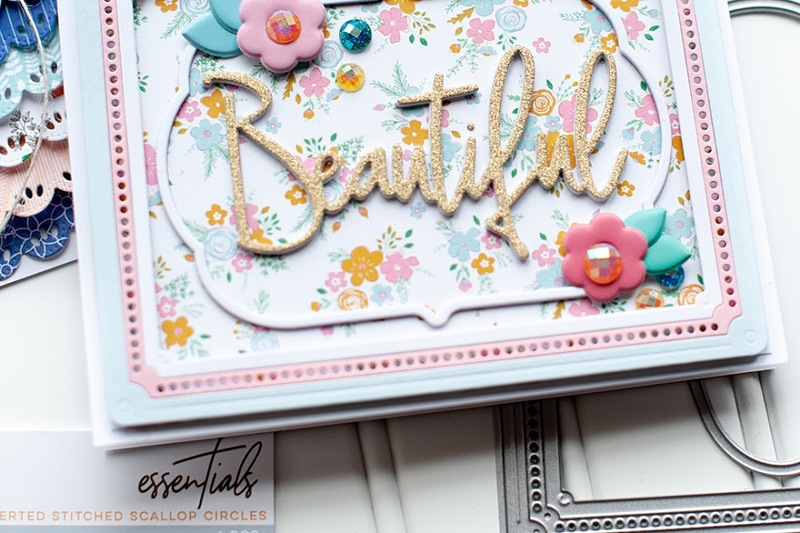 The main part of this sentiment is so intricate & frilly...I really felt it needed to stand alone on my card! Here is what I created! 1. 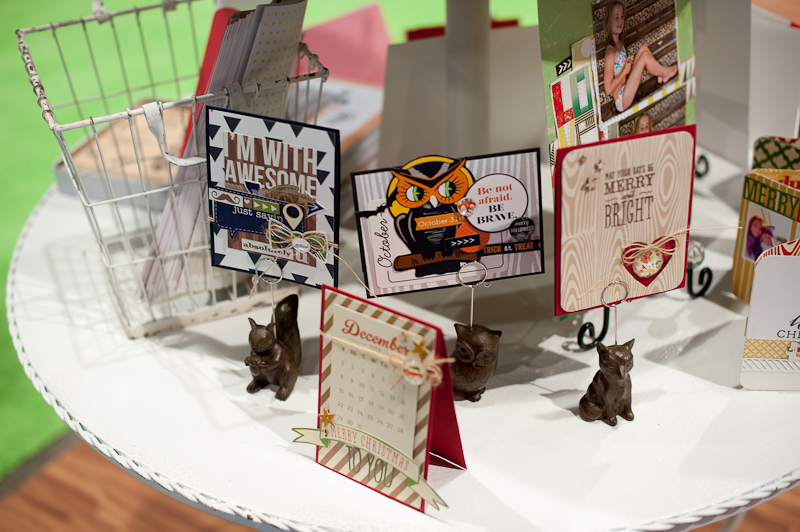 Make A2 card from kraft cardstock, then round the lower right corner. 2. Stamp "Thanks" to the right corner in white ink. 3. Add the rest of the sentiment below it in white ink as well. 4. Thread three buttons with twine, then next to the smaller part of the sentiment to finish. "Stitches", along with all the other new stamp sets are available for purchase right now at the Mama Elephant store! Be sure to head on over and pick your favorites up! I would love to hear which set (or sets!) are your faves from this release....I think mine is definitely "Hustle", although I love them all! Well, I hope you've enjoyed me sweet little thank you card today! I will be back tomorrow with another card featuring a new Mama Elephant stamp set! 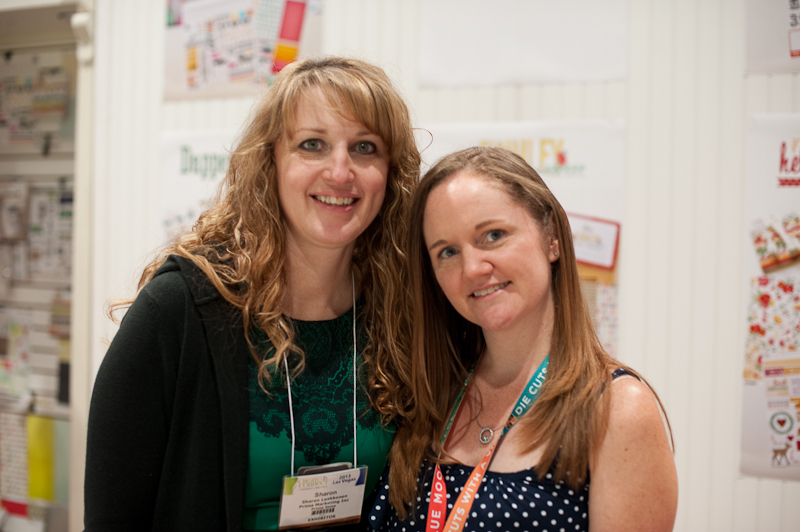 Welcome to the Mama Elephant July Design Team blog hop! Our July release is now live and available for purchase in the store! I'm working with the "Hustle" stamp set today, which is a super cool sentiment set! I kept it super simple this time around, and combined it with the "Today Was" & "Good Times" stamp sets. Here is what I created! 1. 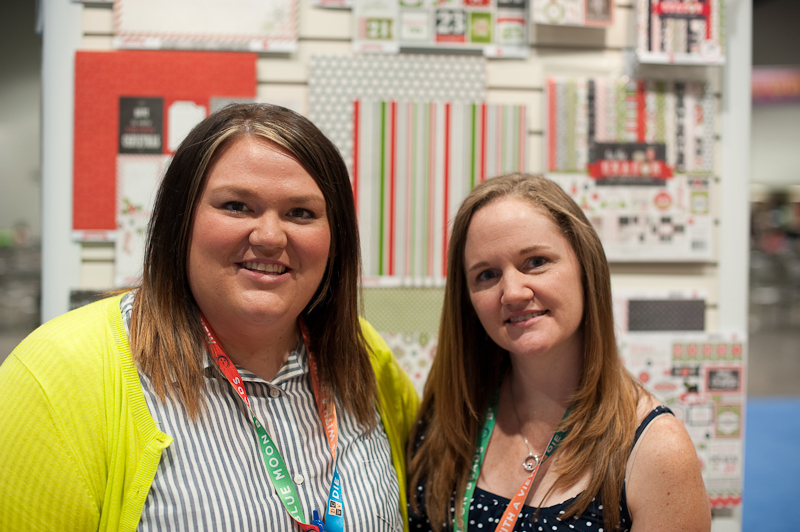 Make A2 card from white cardstock, then round the bottom right corner. 2. Stamp the triangles to the front in red. 3. Stamp the sentiment slightly over top of the triangles in black. 4. Stamp the hand to the right of the arrow. 5. Accent with red & black jewels to finish. 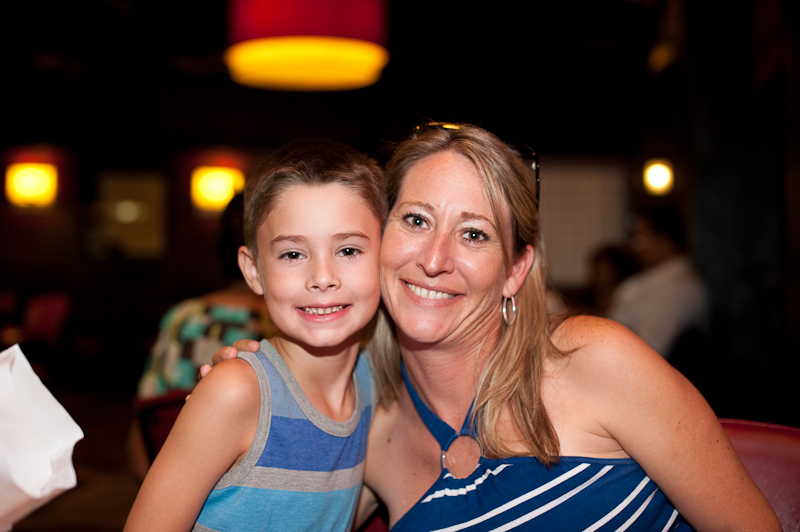 Hey all...long time no blog! Hopefully you didn't think that I just up & left & decided to quit crafting. Tee hee! Totally not the truth....my life has just been really crazy. I will do a quick catch up. I had surgery on June 14th. I'm not much for disclosing really personal things in my life on my blog, but I will leave the surgery at it was necessary, unplanned & I am now fine. :) After recovering to the point where it didn't hurt as much to move around, I had to clean my house from top to bottom, packing away clutter & unnecessary things. Why, you might ask? Well....my husband took a job in Fargo, ND & we needed to get our home on the market. On June 25th it went on the market, & we were under contract in about 4 hours. Ha! Crazy, right?! With that being said...I have had basically NO time to blog, create anything that isn't for specific assignments, etc. 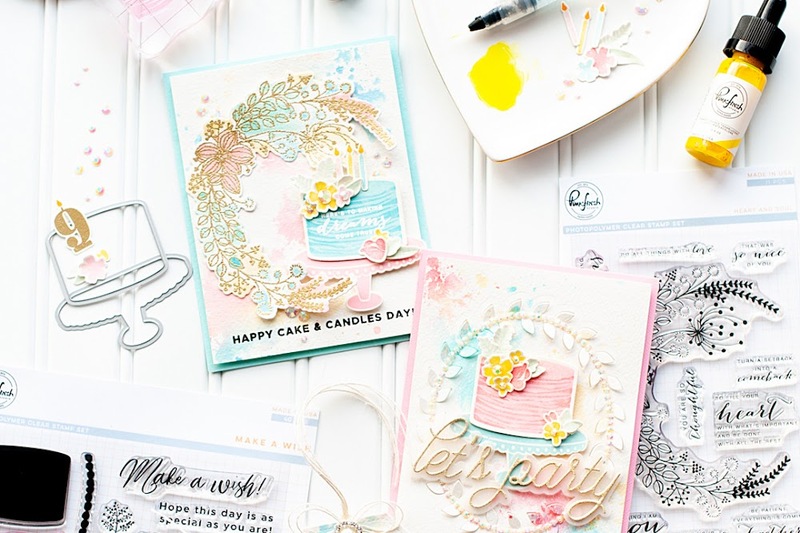 Because of my surgery, I totally dropped the ball on blogging in June...and I still have my last two cards from the June Mama Elephant release to share...so I am going to do that today! 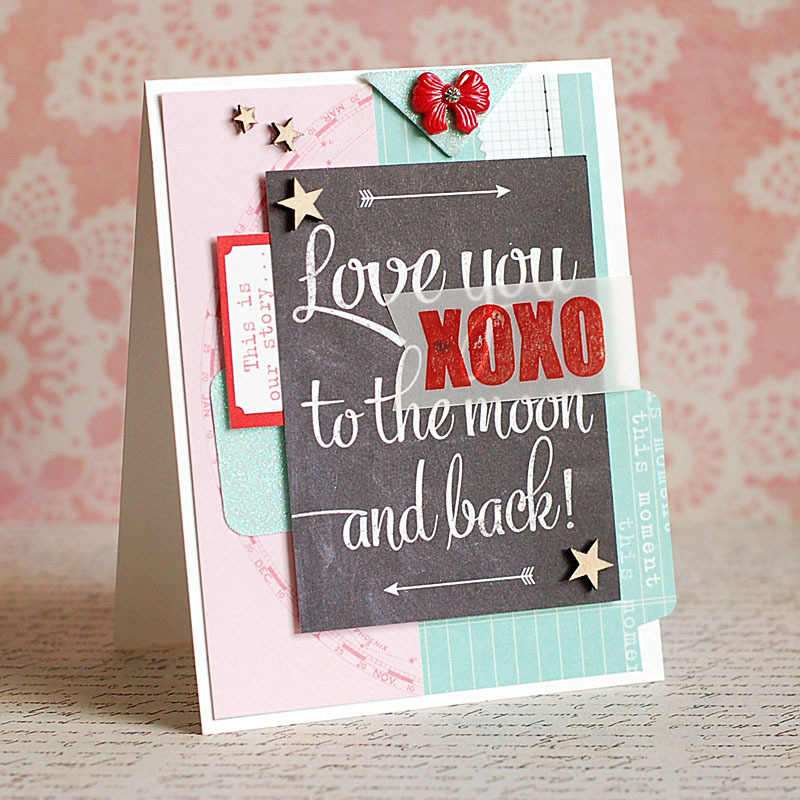 Up first is this sweet little love card that I created using the "Big Words" stamp set. 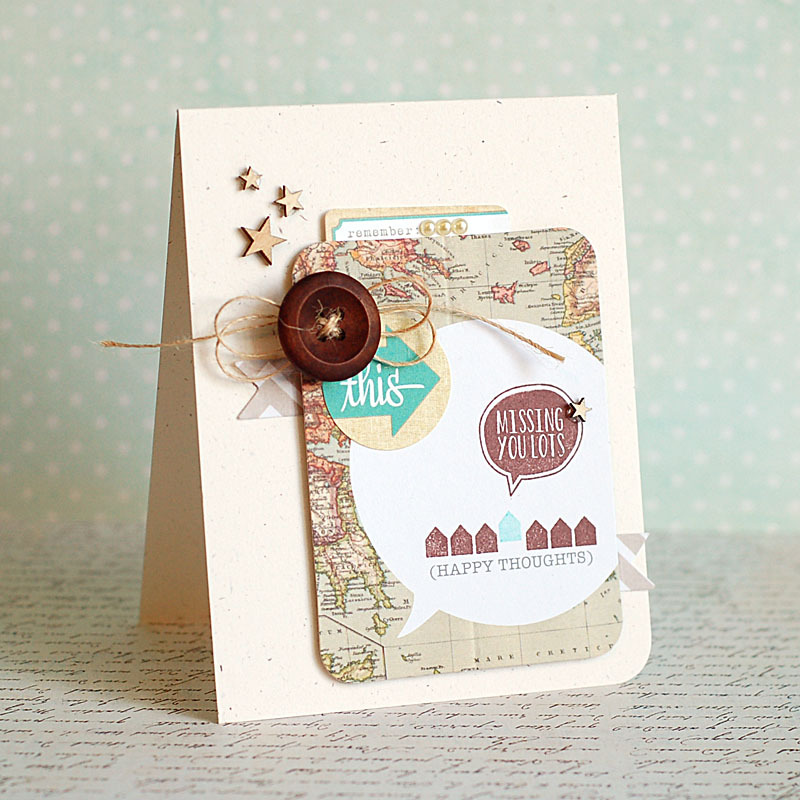 I combined it with some fantastic Elle's Studio product, and a scrap of Dear Lizzy pink patterned paper. Here is what I created! 2. Add tabbed block to the front, then layer a pink paper strip to the left side. 3. Add the chalkboard card to the front using foam adhesive, then tuck the glittered tab & red tab under the left side. 4. 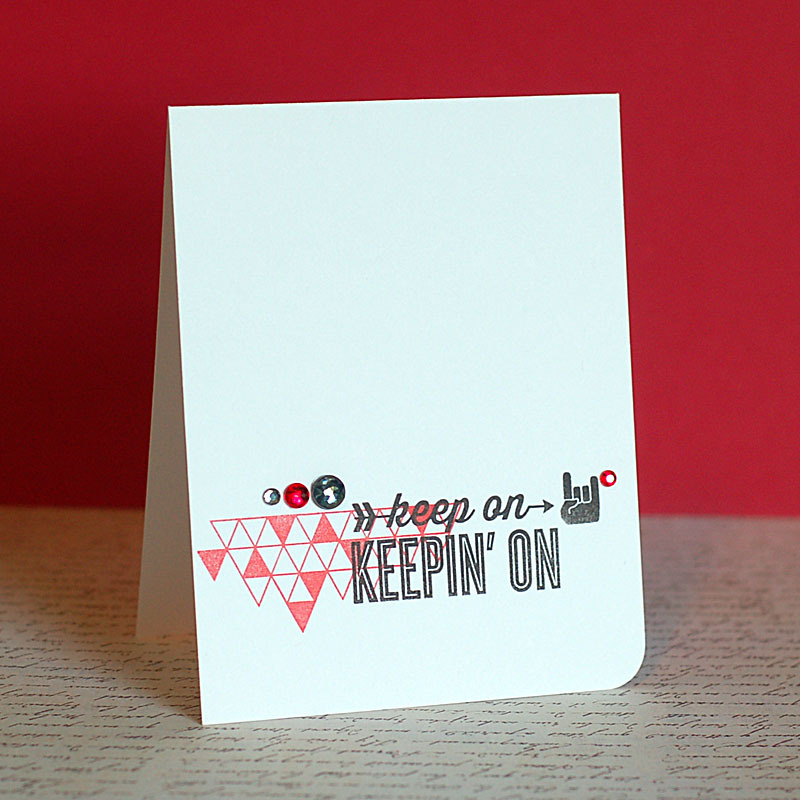 Stamp the sentiment to vellum, cut a banner edge to the left side,then layer over top of the chalkboard card. 5. Wrap the excess vellum around the side of the card. 6. Add a glittered arrow to the top, then layer with a plastic ribbon accent. 7. Accent the front with wood veneer stars to finish. Up next I kept it clean & simple with the "Up and Away" stamp set! 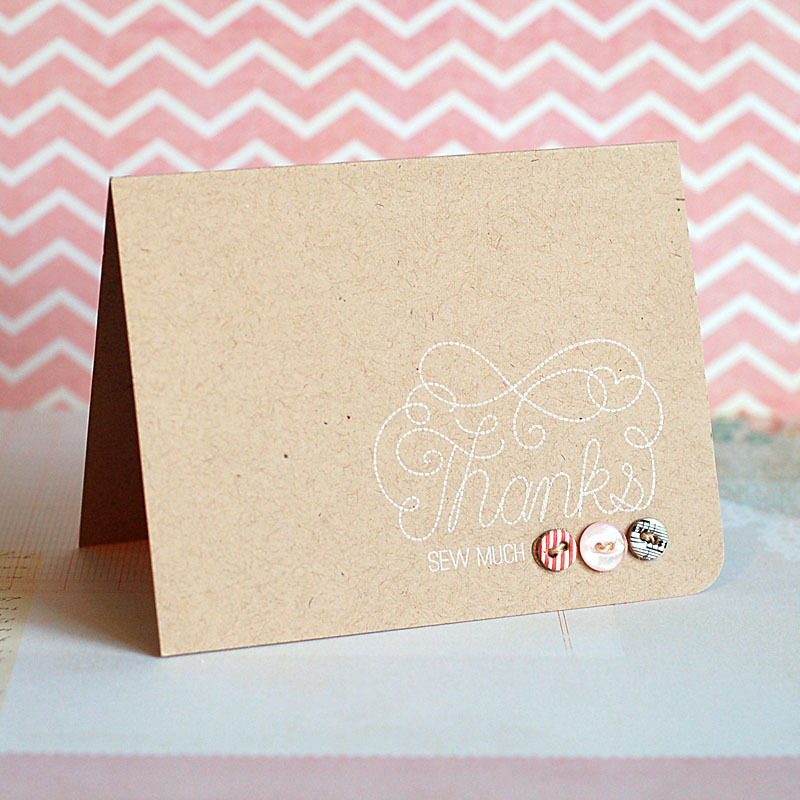 I love the look of white ink stamped directly to kraft cardstock, and the little pop of color the jewels add to it! Check it out! 2. Stamp the sentiment to the lower right corner. 3. Stamp the bunny right above the beginning of the sentiment. 4. Stamp the balloons coming from the bunny's top hand. 5. Accent with jewels to finish. We are going to be starting our July release this coming Monday with the Stampede, and I promise this time I will be on top of my blogging this time around! :) Be sure to come on over & check it out! Well- I am going to get back to packing. 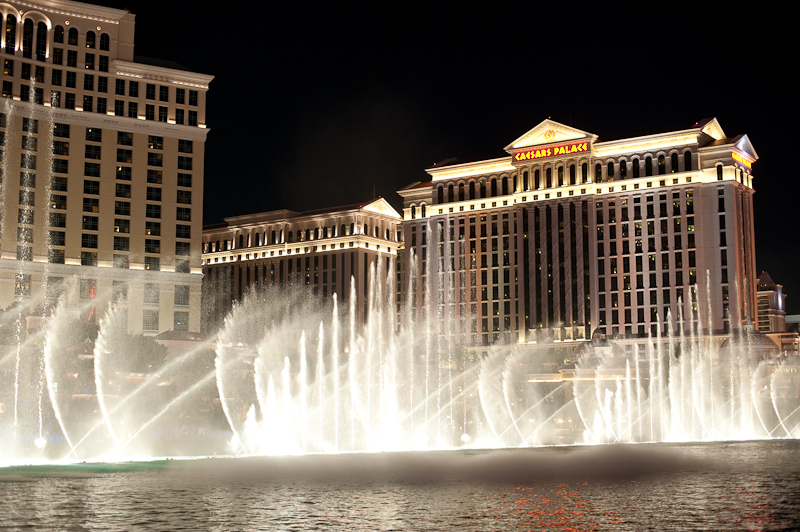 We close on our home here on July 23rd, and I will be in Las Vegas at CHA during that time. So- we are moving all of our belongings to our friends' garage...and then will be living with them for about a month until we close on our home in Fargo. They lived with us for a few weeks while waiting for their home to be ready, & now they are returning the favor. It is so wonderful to have such amazing friends. Have a great weekend! !